Welcome to the latest Beach-Inspector update. Today, we have excellent news for you: In September, we have reached the highest monthly revenues in our company's history, and we would like to share this milestone with you. Thanks to increased conversion rates for CPC offers (the conversion rate is the share of users clicking on travel offers) and additional project and marketing agreements, our company's revenues came in much higher than expected. Given that we generated roughly two thirds of total revenues in September through clickouts leading to our travel partners, our company clearly continues to grow despite the off season in Europe. 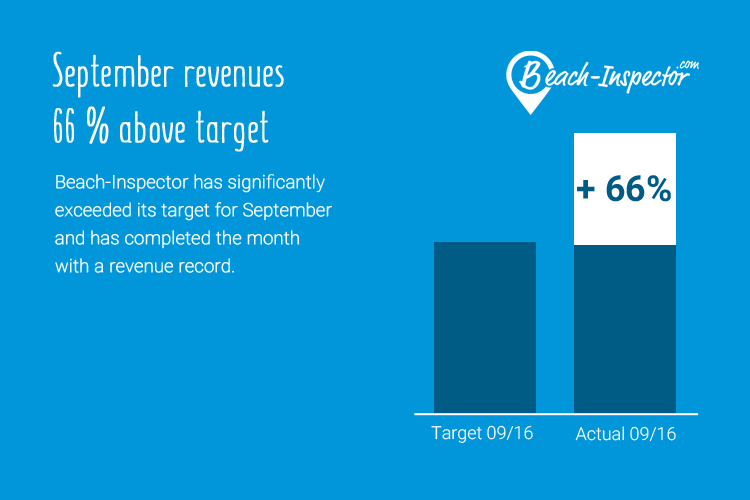 In this way, Beach-Inspector even increased revenue from clickouts compared to the peak-season month of July. 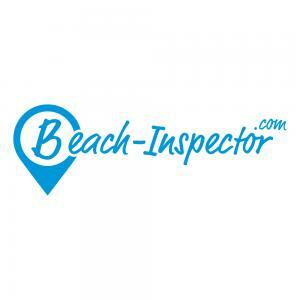 We generate clickout revenue by redirecting Beach-Inspector users to the travel industry with the help of current travel offers that we integrate into the beach pages on Beach-Inspector. This clearly positive development, our major order from Kenya, and the currently stable number of visits cause us to be highly optimistic that we will reach or even exceed our annual target for this year. Now we have to use this pleasant development as a basis for 2017 and keep working hard to achieve a significantly higher level in terms of reach and revenues in 2017 through numerous new destinations, new clients, and additional markets.